Holiday Cottages in Eastern England. 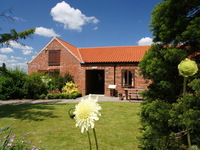 View details for Elms Farm Cottages 4 and 5 star in Hubberts Bridge, nr Boston, Lincolnshire. Provided by Holidaycottages.cc. 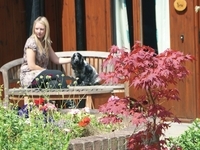 Relax and enjoy the peaceful Lincolnshire countryside in one of our eight award winning cottages. Level floor access throughout; some cottages have wood burning stoves, en suite bedrooms and shower rooms suitable for wheelchair users. 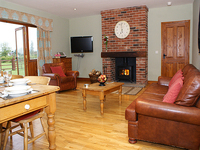 All cottages are fully equipped and furnished to a high standard. 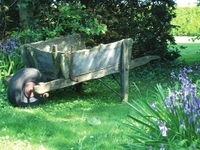 We have a separate laundry and tourist information room, a large car park and wildflower meadow. We have also just completed converting The Granary, an early 18th Century Grade 2 Listed barn set in the same courtyard garden as our 8 holiday cottages. The Granary is a place where friends and family can gather for weekend or midweek events - country weddings - birthday celebrations - business conferences. Walk to the local pub for good food. Excellent river fishing opposite the cottages. We are located on the A1121 at Hubberts Bridge, two miles outside Boston.